Sonia Jane Knapczyk - Edmonton's Burial & Cremation Professionals | Trinity Funeral Home Ltd. 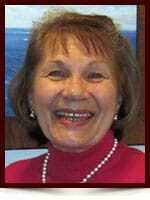 It is with great sadness that we announce the passing of Sonia Jane Knapczyk in Edmonton, AB at the age of 71. She is survived by her son, Clint Knapczyk (Jo-Anne), grandson Tyson, loving cousins and nephews. She was predeceased by her parents, Peter and Annie Karpinski; brother, Stanley Knapczyk (Linda). Sonia was raised and spent most of her life in Edmonton, AB before moving to Chilliwack B.C. in 2004. Sonia loved nature, gardening and flowers, music, and painting. Most important, she loved and cherished her family. We will miss you always. 14339 50th Street, Edmonton, AB. Following the service, please join the family for a luncheon reception. In lieu of flowers, please donate to the Alberta Cancer Foundation. Dear family members of Sonia. I had the pleasure of getting to know Sonia last October when she joined our Bible Study group in Chilliwack. What impressed me about Sonia, was that she had at least two bibles (and maybe more). She was so in love with and well versed in scripture. She will be remembered in prayer by all her friends in the Bible Study group.